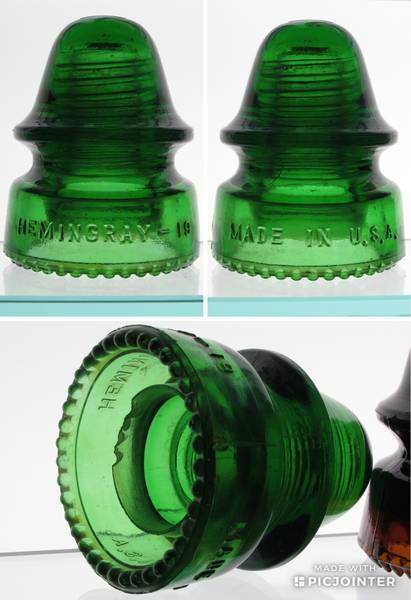 Dark 7 up green Hemingray MADE IN USA. Condition is great on this one, just that little bit of inner skirt chipping as seen in the photo of the underside. Take this one for $95 shipped anywhere in the USA. I prefer payment through PayPal gift option but I will accept other forms of payment. If you have any questions or would like more photos, don't hesitate to contact me. As always, thank you for checking out my listings!